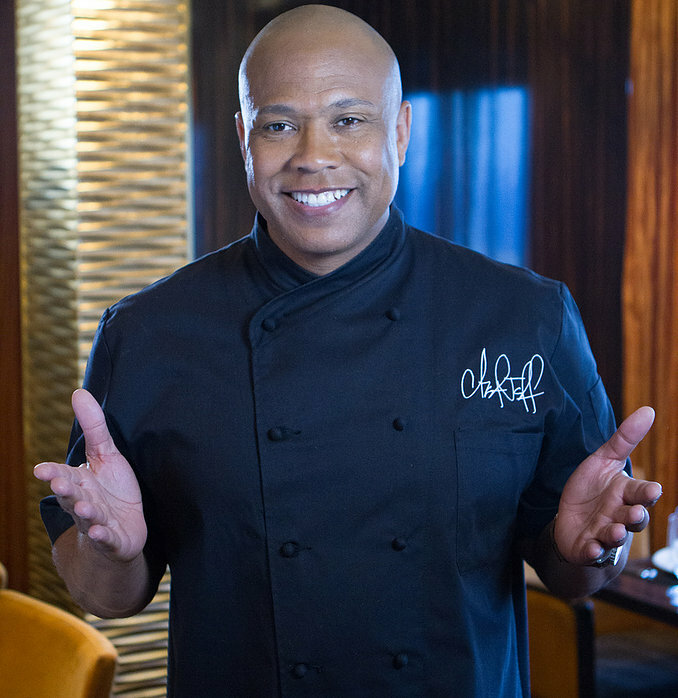 I’ll be honest…when I saw a keynote speaker at the 2019 AAMFT Leadership Symposium in Virginia this past weekend was some dude named “Chef Jeff”…I was skeptical. 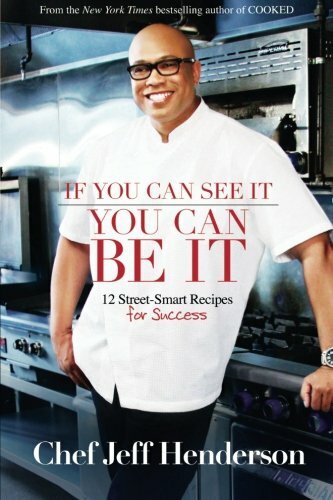 What could a chef have to tell therapists about leadership (and who booked this guy)?? Well. I was in for a surprise. A full ballroom gave Chef Jeff two standing ovations. I have never been to a conference where a speaker got a full-on STANDING OVATION, let alone TWO. And we were enthusiastic about it!! We wanted the guy to NEVER STOP SPEAKING. So, what does a chef have to teach therapists about leadership? His talk was topically appropriate, for sure—he talked about how his family dynamics growing up influenced his life choices, and how he was able to recognize and break those intergenerational patterns that ended him up in prison. He spoke with great love and respect about his wife and family, and how critical their support was and continues to be for his success. He also spoke at length about how he “decriminalized his gifts” after prison, directing the considerable business acumen he’d developed to turn himself into a millionaire drug dealer towards his new goal of becoming a chef. There were some interesting stories about how he had to change his appearance and demeanor to get access to the promotions he wanted; it was simultaneously inspiring, because the guy is a genius at figuring out how to get what he wants, but it was also unsettling how he had to “code-switch” in order to get there. But the part that really got me going was all his talk about hustle. If you read my previous post about Sarah Epstein’s talk at the same conference, you’ll know that I have a real problem with how hustle seems to be stigmatized in the field of marriage and family therapy. At one point, he declared, “There’s no success without hustling! Who in here’s a hustler?? ?” I was overjoyed that he was normalizing hustle, ambition, and drive for achievement in a room full of therapists. Granted, this particular room full of therapists had all signed up for a Leadership Symposium, so perhaps this group was more open to the idea of hustling as mental health professionals? But I was just so glad he said that! I laughed so hard. But I also knew I wanted to have that printed on a mug or something, to remind myself that hustling isn’t something to be ashamed of, even if I am a therapist. 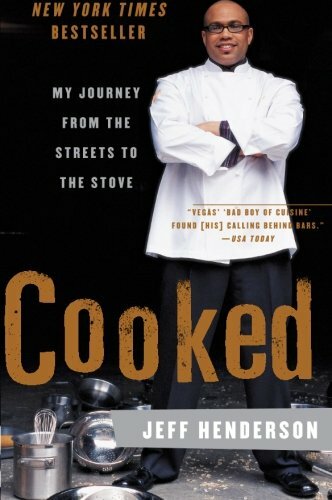 If you are planning an event, you should absolutely consider hiring Chef Jeff as a speaker! The man is electrifying, brilliant, engaging, funny, sharp as a tack and quick as a whip. And if you’re lucky, like we were, his wife will show up, also. She gamely took a question from our audience, and you can imagine how an entire room full of marriage and family therapists swooned hearing her talk about her husband. 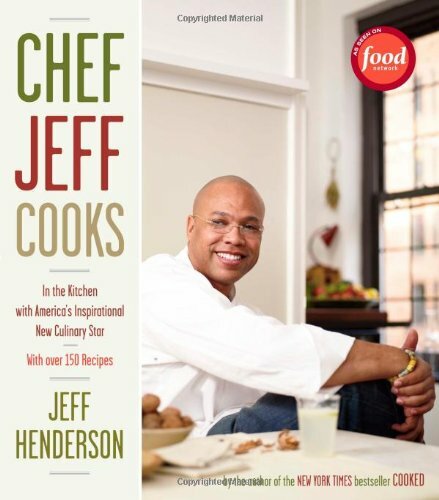 Also, several therapists in the room mentioned that they had clients with whom Chef Jeff’s story would resonate, so they were really happy to have his books to recommend to those clients. 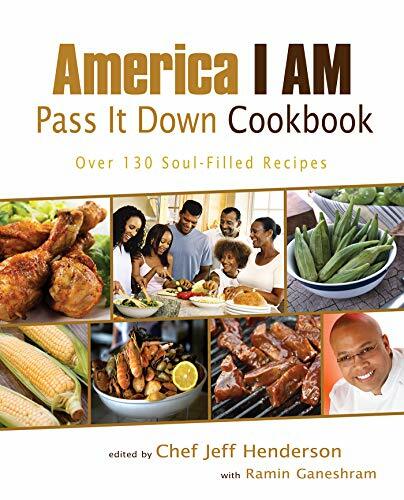 If you have clients struggling with overcoming systemic oppression, the school-to-prison pipeline, or other social injustice, you may want to check out any of Chef Jeff’s books I’ve linked to on this page. Enjoy! I love seminars. Nerdy, I know. But I love focused lectures on very specific topics I don’t usually get the opportunity to learn about in school. That’s why I was excited to attend Sarah Epstein’s breakout session titled “Start Now: Harness Your Talents and Hustle to Expand Your Career" at the 2019 AAMFT Leadership Symposium in Virginia this past weekend. 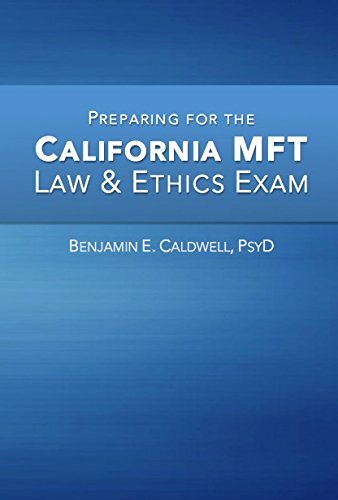 Career-planning seems to be neglected in most graduate programs, so I’m always eager to collect more insights on the different opportunities available to MFTs. Sarah’s talk was packed with actionable information on how to expand your reach as an MFT beyond the therapy room. There were two different “paths” she explored throughout the talk—the path of the seasoned clinician who’s found their specialty but is looking for other ways to contribute to the field, and the path of the newer clinician who isn’t sure yet what they want to focus on but wants to get started now anyway (hey that’s me!). She provided valuable advice on how to blog, write for others, and become a media contributor, including some really solid tips on how to find paying writing gigs and how to use Google to find your audience. She also gave us (for FREE, I might add) scripts she has successfully used to pitch herself as a writer to different outlets and an overview of how to build credibility based on her insights as a former resumé consultant. Seriously, if that’s all she’d covered in the talk, it STILL would have been one of the most valuable seminars of the conference! But Sarah went a step further—and I think, for many, this was the most inspirational and impactful part of her talk. Sarah gave the MFTs present permission to be ambitious. Here’s why I think this is important. There is this…thing I’ve noticed in the field. It might be a generational thing. Or a cultural thing? Or a marriage-and-family-therapist-specific thing?? But I have noticed that there is some serious shade directed at those who want to build a name for themselves in the field. I can’t think of another field where members are expected to WANT to labor anonymously. Many doctors, lawyers, certainly politicians, authors, even real estate agents are all constantly trying to stand out among their colleagues—whether by getting their name on a paper, getting quoted in a news article, hosting a television show, etc. But I’ve noticed most therapists think there is no daylight between anonymity and becoming Dr. Phil, and in fact one attendee announced during the session with vehemence, “I don’t want to be Dr. Phil!! !” (Dr. Phil, in case you don’t know, is regarded with significant derision by most therapists). This has all been baffling to me. In my mind, the more name-recognition you have, the more power you have to help more people! Maybe it’s because I had a few different careers before coming to the mental health field, or maybe it’s because I’m technically a millennial (the oldest millennial, but still a millennial! ), or maybe it’s because I live in Los Angeles (which is powered by publicity and klieg lights). But I don’t think I’m a bad person because I want my websites to rank higher in Google, and I don’t look down on Brené Brown because she has one of the most popular TED Talks of all time. Higher Google rankings and more hits on YouTube mean you’re reaching more of the very people you want to help. So why the shade?! WHAT. A. STATEMENT. I almost stood on my feet and cheered! And I could actually feel the therapists sitting around me getting excited. These attendees were excited to hear another therapist say it was OK to want to blog, or start a podcast, or whatever. Boom. RIGHT? I loved it. If you are lucky enough to be able to attend one of Sarah’s lectures somewhere, I highly recommend you do so. 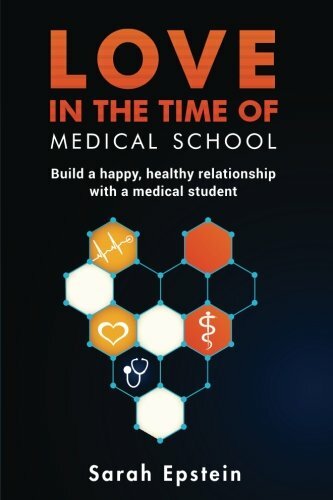 Also, if you happen to be in a relationship where either of you are in the medical field (Sarah’s clinical specialty), you should check out her book on the subject! Finally, if you want to get in touch with Sarah, you can email her here. I hope you’ve been encouraged to pursue your ambitions in this field without feeling bad about it, and I hope you don’t mind if I continue to share with you the things I’m up to as I explore what I can personally contribute! I have been doing a ton of essay editing and coaching lately, which I have really enjoyed. I love working with you guys as you reframe your life experiences into a narrative about how you’ve ended up at the decision to become a mental health professional! You don’t need to waste precious real estate in your essay listing out ALL your work and volunteer experience. Some things are definitely critical to expand upon! But let your resume/CV speak for itself. Your essay is the place to explain some of the “problematic” parts of the rest of your application. Does the job description say you need to have three years of experience, and you only have two? The essay or statement is the place to explain why you think your two years of experience is the equivalent of someone else’s three. Are there some troubling grades on your transcript? In your essay, you can explain what happened there. Remember that your letters of recommendation can be their own essays. If you get to read your letters of recommendation before submitting them, AWESOME. You know what other people have said about you! You don’t need to waste any essay time making the same exact points! But more likely, you WON’T get to read those letters—they’re usually sent directly to the school, or sealed in an envelope so you can’t read what’s been written about you. That’s ok though! The truth is, you’ve got SOME idea of what a recommender would say about you, otherwise you wouldn’t have asked them for a letter. Try to keep what you think they’ll say in mind as you write your essay, and make sure your own narrative reflects what they’re likely to say. You just want to make sure you don’t CONTRADICT what your recommenders have said! Everything you’re applying for is looking for something slightly different—even though they may all be looking for YOU! For example, say you’re applying to three different graduate programs. Each program has slightly different requirements of their applicants, and each program has a different personality. One program might emphasize research, while another emphasizes social justice, while still another emphasizes preparing you for private practice. If you’re applying to all three, there are aspects of each program that appeal to you! Your job as a an applicant is to highlight the parts of your story that fit the personality of each program. The same is true when you’re applying to jobs. If a job is customer-facing, you’ll want to highlight how much you love working with people. If a job is teamwork-oriented, you’ll want to emphasize your experience working successfully with others. The trick, of course, is trying to gauge what each program, organization, or scholarship committee is looking for! Please, please, please—don’t try to sound erudite in your essays and personal statements! If you’ve got an expansive vocabulary, by all means use it, just make sure you don’t veer into the realm of the pretentious. It must sound natural. Especially when you’re being asked for a personal statement, they are looking for WHO YOU ARE. This goes double if you’re applying to MFT programs!! The whole point of being a therapist is bringing your authentic self to the work. You don’t need to impress admissions committees with an essay that sounds like Austen or Dickens. They are evaluating your essay to make sure you can write well, but more importantly that you can communicate well. There is a fine, fine line between being authentic and TMI (too much information). Especially if you’re applying for something in the field of psychotherapy, you need to share personal stuff without coming across like you’re the one who needs therapy!! It’s tough, and this is one of the areas that I work on the most in coaching, because it’s so different for every person. Be honest about why you want to go into this field, but make sure you communicate that you’re not still in crisis. So many essays ask about formative experiences that have made you want to be a therapist. For many applicants, this may mean relaying experiences of trauma where a therapist really helped (or where a therapist could have helped…). Remember that you’re not trying to communicate the depths of your trauma—save that for your own therapist! You’re trying to communicate how your experiences have inspired you to want to help others. Think about how you’re coming across from a total stranger’s point of view. This is where having an objective editor (like me!) really comes in handy. As you read your essay back, remember that this is your first introduction to someone who doesn’t know you at all—and the reason they are reading your essay is to determine your suitability to help others. There’s a middle ground between revealing all your personal struggles diary-style and revealing absolutely nothing, and sometimes that can be hard for you to gauge. If you grew up in a family where it was absolutely normal to talk about very personal things, a reader might find your essay over-share-y and lacking professionalism. If you grew up in a family where it was NOT ok to talk about personal things, however, a reader might find your essay cold and detached—not desirable qualities for a future therapist! So it’s really important to find that balance between honesty and…too much honesty. I hope this has helped give you a better idea of what exactly you should be trying to accomplish with your essay or personal statement. If you need some more help, I’m available for editing and coaching. I enjoy helping applicants from the very beginning of the process all the way to the final polished product. I offer an Essay Coaching package (where I interview you and review application materials to help you decide what to write about), a Coaching + Editing package (where we work together through three revisions to craft your essay or statement), an Editing package (if you just need some feedback/proofreading on your essay but don’t need my advice on WHAT you should write about), and phone consultations on any part of the process. If you need something more specialized, I’m happy to work with you to put together a custom package! I hope this post has taken some of the mystery out of the essay-writing process. I know when I wrote my application essay for my master’s program, it took me a solid two months of revising before I felt confident! I really hope the process is smoother for you! Phone or Skype advising session--ask me any questions you have on the process! Select Duration 15 min.30 min.60 min. I can help you craft an outstanding personal statement or essay (up to 1,250 words) for your graduate school, scholarship, or job application. I will coach, guide, and advise you through brainstorming what to write for your essay or personal statement. I spend an unreasonable amount of time in my car, so podcasts have been my saving grace. There are several great therapy podcasts I have stumbled across that have really broadened my understanding of the mental health field and introduced me to the huge variety of different paths you can take as a practitioner. Most podcasts release new episodes regularly, so I feel like they help me stay current even though my studying for school has been more focused on theoretical foundations, but I also recommend diving into the archives! Medium format (25-35 minutes). One of my very favorite podcasts, especially because there are frequently new episodes. Curt and Katie are very involved in the accompanying Facebook group, which is awesome for when you've got questions about episodes or anything in general! Recommended to add to your playlist! Very short format (under 10 minutes). Part of how I decided to become an MFT was by reading every single thing posted by Dr. Caldwell on his excellent blog, Psychotherapy Notes. Dr. Caldwell is a passionate advocate for the profession with a clear and engaging style that's both easy and invigorating to read--he really wants the reader to understand what he's saying. He just launched his podcast, and I'm really excited to see where it goes from here. Long to extremely-long format (30 minutes - 2+ hours). I only recently became a patron at Patreon so I could access some of the full episodes that were interesting to me. Try the free podcast first and if you enjoy the format, I recommend upgrading. I have gotten my money's worth listening to the therapist development episodes--I would say this podcast has been the most relevant to my experience as a student/trainee. Long-format (each episode is around an hour). This is one of my favorite ones but it doesn't get updated frequently.The hosts' media/entertainment industry experience shows--it's not overly-scripted but the interviews always flow. They also aren't selling anything, so you just get a lot of great information. They cover a wide variety of topics and always have quality guests. I appreciate how the hosts are mindful of explaining terms that "future therapists of America" might not understand yet. My only complaint is that I wish there were more episodes! Medium format (25-40 minutes). These ladies are a wellspring of great information about becoming a therapist and developing a private practice. They've got episodes going back to 2015 available on iTunes, and if you've got a question, chances are they've covered it! Medium format (30-45 minutes). I really like the style and energy of these hosts. The pace of each episode really keeps up, so they cover a ton of information in a short amount of time. Covers a lot of great business building information. Medium format (20-30 minutes). Very focused on practice-building if you're looking for the nitty-gritty. Occasionally Allison does episodes where she coaches a clinician about their specific issues and the we get to listen in--I really enjoy these episodes! Episode #67, "All About GDPR" was especially helpful. OK this is not actually a podcast, but still I think the sooner you check these out, the better off you'll be. 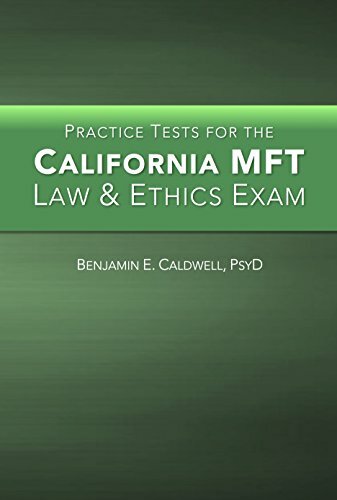 Dr. Gehart has several lectures posted on YouTube that cover various orientations and also more nuts-and-bolts things like APA style and BBS hour logging (for California trainees/associates). They're very popular with people studying for the licensing exam, but I found them to be an invaluable adjunct to my introductory counseling theories course in my first semester of grad school. Medium format (25-50 minutes). Not strictly about psychotherapy, but it is so fascinating! And really, really well done (it comes from NPR). I can't explain it any better than they do on their website: "Hidden Brain links research from psychology and neurobiology with findings from economics, anthropology, and sociology, among other fields. The goal of Hidden Brain isn't merely to entertain, but to give you insights to apply at work, at home and throughout your life." Long format (1 hour). Another NPR/not-strictly-psychotherapy podcast, but a must-listen: "We weave incredible human stories with fascinating new psychological and brain science, in the hopes that after listening, you will come to see new possibilities for how to think, behave and live." Long format (40-60+ minutes). Admittedly, I believe I personally am leaning towards a postmodern orientation, and this podcast has a heavy dose of that. As a new graduate student, I find the "Therapist Roundtable" episodes particularly helpful (I think I've listened to episodes 28 and 38 three times each). He's also had big-time guests like Scott Miller, Ph.D. and Harlene Anderson, Ph.D. Medium format (30-50 minutes). Dr. Kaufman is an acquired taste, I think--though his enthusiasm is delightful, he can sometimes seem a little pushy. That being said, I always get so much out of his podcast. He gets great guests and engages them in deep, thoughtful, yet briskly-paced dialogue. Medium format (35-40 minutes). As someone who's nowhere near actually being in a room with a client yet, this podcast feels a little like field observation meets television drama. I'm absolutely obsessed with it, but at this point I find it more entertaining than instructional. The focus is definitely on the couples rather than on Perel's techniques. Selling the Couch, Melvin Varghese, Ph.D. Medium format (30-40 minutes). One of the biggest complaints I heard when I was researching graduate programs was that no school prepares you for the business aspects of running a private practice. There are several podcasts that seek to fill this void, and honestly they do a great job. If you listen to all of them, you will start to hear the same themes surface over and over, but for me I hope that's just helping me learn it better. Melvin seems like a genuinely nice person and I enjoy his honesty/vulnerability in discussing his own struggles. Usually medium format (30-40 minutes) but sometimes he does a short format series (15 minutes). Joe Sank is the private practice guru. He does consulting on starting and growing a private practice, so a lot of the guests are clients of his and he does frequently pitch his services. However, it's a TON of free useful information, and he's very encouraging of private pay services. Medium format (20-40 minutes). This podcast is produced by Brighter Vision, a therapist website company, and the guests are generally clients who have had success with their website. A lot of great nuts and bolts info on running a private practice--another one that advocates private pay. Perry, the host, is kind of hilarious because he sticks to a very structured script every episode, but it's clear that sometimes his guests aren't familiar with the format, so they get blindsided by the questions even though regular listeners are waiting for them. Makes me giggle. Short to medium format (5-40 minutes). Another one on building and marketing a private practice. Lot of different approaches--interviews, series focused on particular aspects of marketing, more general business systems stuff, etc. A great one to add to the playlist! Medium format (30-40 minutes). The host is a business coach, so as with the two previous podcasts, many guests are clients. I like how in-depth she gets with her clients' experiences--I particularly enjoyed the 12/25/17 episode with Jennie Steinberg. Medium format (40-45 minutes). A former therapist, the host is now a marketing consultant for private practitioners. There's a wide variety of guests so you can become acquainted with the different options in the field, and there is a focus on marketing. Long format (40-60 minutes). More content-oriented than focused on business aspects. Long format (40-60 minutes). Another more content-oriented podcast, but she does really get into what it's like to practice from different orientations and some early episodes focus on more practical issues (#39, Designing a Website with Empathy). Shrink Rap Radio, David Van Nuys, Ph.D.
Long format (60-75 minutes). Content-oriented and with a VERY deep archive--episodes go back to 2005, so there's lots to browse through. "Raise your hand if you believe in the medical model!" This challenge was issued by a professor on the second day of my MFT graduate program. Hesitantly, I and about half of my class sort of raised our hands. You ever have the feeling where you are on-the-fly asked to give a definition of a word you've been using with confidence forever, and you instantly start to question whether you have any idea what the word actually means? If someone had asked me to define "the medical model," I would have said, "um...like...hospitals? And doctors? And it's a model, so like...the idea that we go to the doctor when we're sick?" So, yeah. I believe in that, I guess? Which is why I raised my hand. I like doctors. I go to them frequently. My brother even is one. But as my professor surveyed the room with a judgey raised eyebrow, I started to wonder what I had just committed to. "So you believe all of your clients should get a diagnosis?" he questioned in an admonitory tone (admonitory: giving or conveying a warning or reprimand). I was embarrassed. I didn't have much experience in the mental health field, wasn't super-educated about current theory, and felt that clearly everyone else knew what this was all about and I was the only one raising my hand in total ignorance. And instead of elaborating on the medical model and what it had to do with diagnosis, he moved on to ask whether it was ethical or unethical to assign a diagnosis to a client just so they could get treatment covered by insurance. I was left feeling like I'd just missed the bus. My inner monologue was scream-whispering inside my head: "Wait so but what is the medical model also why wouldn't you give a diagnosis WHAT'S WRONG WITH DIAGNOSIS??" After all, I'd been diagnosed with an egg allergy when I was a toddler. Without that diagnosis, I would have spent many years wondering why breakfast foods made me feel like I was dying. This kept happening. Someone would say something obliquely critical of "the medical model," like if you were in favor of the medical model then you were not going to be a good therapist and you were probably a terrible person to boot. And it always happened in a hush-hush sort of way. Like, "well I know I shouldn't be saying this BUT..." And then there was never any further discussion. One of my professors suggested clients don't need medication as much as they need unconditional positive regard. Another professor warned that doctors don't treat their patients like people. Another begged/demanded that "you must never refer to your clients as a diagnosis!" Apparently, there was something wrong with "the medical model." I had to find out what the hell this thing was, and why it was so bad. So I started asking around. My classmates' definitions varied. Some thought "the medical model" referred to using medication to treat things. Others believed "the medical model" was responsible for stigmatizing disability. Still others believed it was somehow connected to science and psychotherapy in general. And we were all aware it had a negative connotation. Finally, this summer, I decided to do some real reading. I'd lifted the lid on what seems to be a Great Debate in the field of mental health. Many authors identify that the term "the medical model" is used as an epithet "with denigration, suggesting that its methods are paternalistic, inhumane and reductionist" (Pies, 2017; Shah & Mountain, 2007, p. 375). I found lots of reasons why this is the case, but I also found many authors arguing that this is unfair. Mostly, I realized there are a lot of things to be confused about. At this point, I've done a good amount of research, but trust me that I've only just scratched the surface. I make no claims to having figured this all out. But I'm going to share what I've learned thus far--I feel much less confused now than when I started this project. Still, if you think I've wrongly interpreted something or am just in general way off the mark, I welcome feedback, clarification, and edification! Seriously. "The medical model" is a term for how we conceptualize illness, and the definition has changed over time. It's a concept that came about during the Scientific Revolution, began to be applied to mental health and psychotherapy in the 20th century, and was successfully challenged starting in the 1960's. At that point, people were pointing out a bunch of things that were seriously problematic about the model, and "the medical model" got a really bad reputation. In the latter half of the 20th-century, people started trying to address all the problems raised by critics, and "the medical model" shifted from a biomedical emphasis to a biopsychosocial emphasis as a result. The "new" (and improved) medical model as used today by clinicians is--or should be--quite different from the "old" medical model, though people still call it just "the medical model." 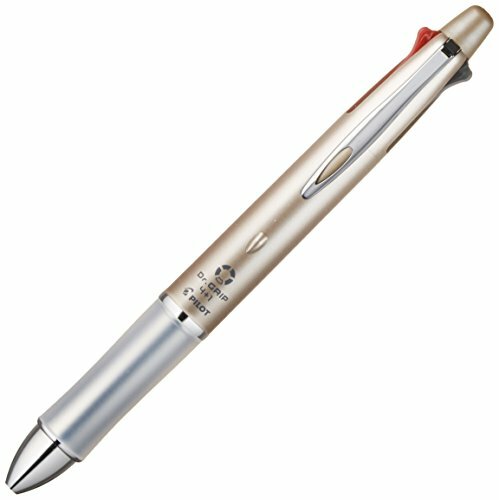 Poisoning the well against "the medical model" without defining the term and explaining the debate is dangerous, because it unfairly prejudices new clinicians against whatever they decide "the medical model" means to them--diagnosing, giving clients a medication referral, reading published studies to inform their practice, etc. This results in clinicians more likely to justify opting out of evidence-based practice as the taking of a principled stand against "the medical model," when in reality it is simply unethical practice. Part 2 of this article will address this argument, and I'll include some things I think we can do as ethical psychotherapists instead of sitting around demonizing the medical model. In the meantime, let's start with figuring out what the hell it really is. I've included a list of references at the end of this article in case you're interested in following me down this insane rabbit hole. And even if this is not the most interesting thing you've ever learned about, I hope you'll at least hear me out to the end of this post, because I do think this is really important and I'm not sure why it's not covered more in-depth in school. Ready to learn more than you ever wanted to know about the medical model? Once upon a time (starting in the 1500s), the Scientific Revolution happened. People started trying to figure out what was going on when other people developed pustules or hacked up blood. They started taking dead people apart like cars. Displeased, the Church, who had previously cornered the market on "why do people get pustules?" (because God), wasn't real happy about this infringement on its philosophical territory. But it agreed to a compromise and said, "hey you know what, you can take apart bodies as long as you leave us the mind, by which we really mean soul" (Engel, 1977). The proto-doctors decided this was fine, so they started trying to find biological reasons for biological symptoms like pustules--and the medical model was born (Wade & Halligan, 2017). But they stayed away from the mind/soul because that was the Church's turf, which resulted in the mind/body division that existed in the Western world for hundreds of years (Engel, 1977). So, simply put, the classic medical model "is characterized by a reductionist approach that attributes illness to a single cause located within the body" (Wade & Halligan, 2017). This is the medical model that, in general, most people are referring to when they say "medical model" in a derogatory way. However, after the Industrial Revolution, some folks started to think that maybe people shouldn't be thought of as machines made out of meat, while the rise of democracy was fueled by the idea that individual humans are more equal than not (we're just gonna gloss over that historical hypocrisy for now). The backlash against the medical model happened shoulder-to-shoulder with the rise of humanism and postmodernism. Humanism emphasized the value and agency of people, while postmodernism in part challenged notions of power--including the power of knowledge. At the same time, the medical model had been identifying and curing diseases like gangbusters, but a bewildering paradox came to light: sometimes, people felt ill but had no physiologically identifiable disease, while others with an identified disease did not feel ill at all. Also by this point, the Church had lost a lot of ground and couldn't really tell doctors to stay out of people's minds anymore. So naturally, the field of medicine came to incorporate the "mental" as well as the "physical," and they began to apply the tried-and-true medical model that had worked for hundreds of years to the human mind--resulting in the new discipline of psychiatry. Considering the chronological context, it was a relatively short amount of time before people realized this wasn't gonna work out so great. The conceptualization of illness as biological resulted in "great advances in the diagnosis and treatment of some life-threatening and debilitating diseases " (Wade & Halligan, p. 996). 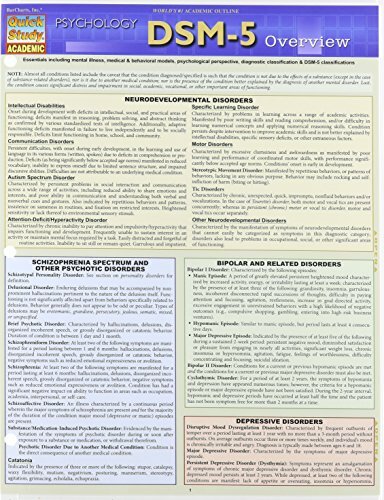 In fact, even treating some mental disorders, like schizophrenia, "in a medical sense has led to significant benefits for a segment of the population" (Corrigan & Ralph, 2005, p. 8), and "biological explanations have helped reduce fear, superstition, and stigma and increase understanding, hope, and humane methods of treatment" (Shah & Mountain, 2007, p. 375). However, the medical model has a lot of drawbacks that caused significant debate, which we'll explore in a moment. For the most part, when people hate on the medical model, they do so because they believe it's ultimately harmful to the people it was designed to help. In large part, the consensus seemed to be that taking a strictly physiological approach to issues of illness/wellness was too narrow. The existing medical model does not suffice. To provide a basis for understanding the determinants of disease and arriving at rational treatments and patterns of health care, a medical model must also take into account the patient, the social context in which he lives, and the complementary system devised by society to deal with the disruptive effects of illness, that is, the physician role and the health care system. This requires a biopsychosocial model. This does not do away with the "bio" part of medicine, but it does incorporate entire domains of human existence that had been neglected, like interpersonal relationships, intergenerational trauma, adverse childhood experiences, minority stress, etc. 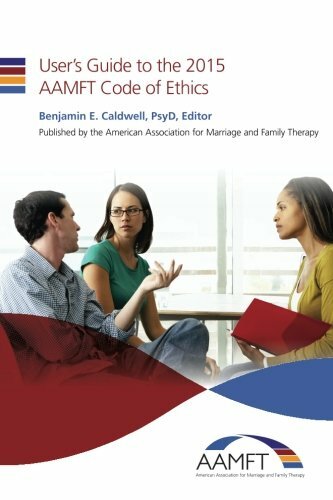 In 1981, an article in The Journal of Marital and Family Therapy declared that "recent developments in the understanding and treatment of mental disorder have resurrected the medical model--no longer the narrow, reductionistic model of the past but one that encompasses biological, psychological, social, and even moral-existential parameters" (Abroms, 1981, p. 385). In 2009, The Australian and New Zealand Journal of Family Therapy, stated that "case formulation, with a strong biospychosocial emphasis, is considered a key task in the training of psychiatrists and psychologists" (McDonald & Mikes-Liu, 2009). In 2014, Bolton said the biopsychosocial model "has become part of the ideology of medicine" (p. 180). In 2016, Searight described the biopsychosocial model as "a mainstay of North American medical school curricula and postgraduate psychiatric education" (p. 289). In 2017, Wade and Halligan argued that "the model has been used to structure guidelines, is used clinically, and is discussed in relation to person-centered care and in other contexts" (p. 997). Many people seem to believe the biopsychosocial approach has overhauled "the medical model" rather than done away with it, so they still use the term "medical model" to describe how we conceptualize mental health in this more expanded way--hence my desire to clearly identify whether we're talking about the "classic" or the "new" medical model. Because nothing can ever be easy, there is, of course, criticism of the biopsychosocial model. I'll refer you to Farre and Rapley (2017) and Searight (2016) for a fuller exploration of the critiques and the various models proposed to address those critiques, because honestly this post is turning into a Complete History of Medical Philosophy. For you and me, I think the most relevant critique is that the biopsychosocial approach requires clinicians to collect an unreasonable amount of data on each patient before being in a position to diagnose and treat. It's from this context that some mental health professionals feel medical professionals "don't spend enough time with their patients." The field of medicine has offered solutions such as patient-centered clinical care, which attempts to narrow the medical scope while still honoring biopsychosocial principles (Searight, 2016; Weston, 2005). With his biopsychosocial model, Engel waded into a heated debate within the field of psychiatry during the latter half of of the 20th century. On the one side, "psychosocial extremists such as Thomas Szasz ...argued that mental illness was not 'real illness' but instead a medicalization of 'problems in living.' On the other side, ... [the] biologically oriented psychiatrists [who developed the DSM] sought to reunite their specialty with medicine... Psychiatry eagerly adopted the [biopsychosocial model] because it provided a 'big tent' and prevented a split in the psychiatric community. Thanks to Engel, the molecular biologists investigating serotonergic synaptic activity and the anti-psychiatrists attributing mental illness to a sick society could be at home with one another" (Searight, 2016, p. 291). This fundamental debate--whether mental health should fall under the purview of medicine--is still alive and well today. This camp believes that "problems of living" for which people seek mental health care are not illnesses at all. Depression (as far as we know now) isn't caused by a virus. Therefore, the argument goes, mental "abnormalities" shouldn't be treated like illnesses, and psychotherapy isn't an "intervention" as much as it is "an interpersonal process" (Elkins, 2009). Elkins seems to really believe we as therapists should opt out of the medical model in its entirety and cast our lot with "alternative practitioners" like psychics. Going even further, some people believe the "medicalization" of the mental health field has cultivated a mindset of "low-efficacy," where people who aren't doctors feel like they are not in a position to effect mental-health change precisely because they are not doctors--and therefore, must be powerless to "fix" anything (Gutkin, 2012). They believe the medical model perpetuates this power dynamic in the mental health field, and we would be better off without it, because then everyone would feel empowered to "fix" mental health. I completely understand why these folks hate the medical model. And for the conspiracy theorists in the back--no, I don't think these therapists are just afraid they're losing all their income to Big Pharma so they want to position themselves as a totally separate alternative. Like the Church, this group believes the mind and body should be separate disciplines entirely. If you believe this, then I can understand how frustrating it must be to have to learn stuff you don't believe in so you can get licensed and practice as a psychotherapist. The truth, I suspect, is that this group is a minority. Perhaps most relevant to MFTs is the rise of the recovery model in mental healthcare in America. It seems to me that this approach is a significant way that the field of marriage and family therapy has incorporated biopsychosocial values into mental health care. It came from the world of substance abuse treatment but has been applied more broadly to treatment of chronic illnesses such as hypertension, diabetes, HIV, and cancer (Barber, 2012; Gehart, 2012a). In 2004, the Department of Health and Human Services (HHS) issued a recommendation for a shift to recovery approaches in treating mental illness. HHS defines "recovery" as "a journey of healing and transformation enabling a person with a mental health problem to live a meaningful life in a community of his or her choice while striving to achieve his or her full potential" (Gehart, 2012a, p. 430). Unlike the classic medical model, full symptom remission is no longer the ONLY metric of recovery from illness. Essentially, it moves the goal line, and the person with the illness decides where the goal line is. Because if you're not taking every possible opportunity to watch Debbie Reynolds as a dancing football, what are you even doing with your life? With bonus Donald O'Connor! The recovery approach was created and promoted by "consumers"--the individuals more commonly called "clients" or patients, a marked difference from both the biomedical and biopsychosocial approaches which were conceived of and implemented by providers. "Consumer" is used to reflect that the person receiving treatment is more actively choosing to "consume" an available option (much as we "consume" entertainment or news) rather than passively get treatment applied to them by a clinician (Gehart, 2012a). Cure, or clinical recovery: The consumer is symptom free and does not need further treatment. Illness management: The consumer and healthcare professionals are collaboratively involved in symptom control and monitoring of the illness over time. Treatment can help minimize impact of the illness. Now that we've more or less (less, trust me) covered the historical shift from the classic medical model to wherever the hell we are now, it's time to figure out what my professor was so upset about when I admitted that I did, in fact, believe in the medical model. The Great Debate - So What's Wrong with the Medical Model? I think it's really important to take a look at the charges leveled against the classic medical model and consider how the biopsychosocial approach and the recovery model have attempted to address these concerns. There is "normal," and then there's "abnormal." It's better to be "normal." When things are abnormal in a person, getting back to normal is the highest priority. Abnormal things in people are caused by something physical/biological. Experts are the best people to identify what's abnormal, who has an abnormality, what's causing it, and how it needs to be fixed. No one tends to argue when this approach is applied to a broken arm. Yes, we generally agree it is better to have a non-broken arm than a broken arm. Yes, this problematic arm has a physical/biological source of abnormality--that bone is broken. Yes, we can get this arm back to "normal" by putting a cast on it so the bone can grow back together, and yes, we all think a doctor is a better person to set that bone than my UPS guy. Boy, did this work out great for awhile. They found cures for all sorts of things this way. Like broken arms! And tuberculosis! And the plague! It worked so well for bodily ailments that people started applying it to the nascent field of psychiatry. It's when this approach started expanding to "abnormalities" less obvious than broken arms--like mental health--that things really started to go off the rails. Let's begin with the very first assumption of the medical model--there is "normal" and there is "abnormal." You can't get around to fixing anything unless you know what something looks like when it's "fixed" and you can tell the difference when it's "broken," right? Who, exactly, gets to define what is "normal" and what is "abnormal?" Why is it better to be normal?? Who gets to decide someone needs to "fixed" if the "abnormal" person doesn't agree that they're "broken?" I'm sure you can see how the concept of normal/abnormal is going to start getting fuzzy when we look at mental health issues. But we're already at fuzzy just talking about physical issues. For example, if that broken arm doesn't heal entirely straight, is it normal? Does it need to be straight? If it's your arm and you'd rather not have a surgery to straighten it out, does the doctor have the right to knock you out and do it anyway 'cause it's in your best interests? These hypothetical questions carry real-life weight when it comes to issues of disability. The medical model of disability dictates that there is a "normal" way the body should function, and if it doesn't function that way, the body should be "fixed" until it gets as close to "normal" as possible. Ableism, or "the idea that those who are 'more able' are 'more includable'" (Shyman, 2016, p. 367), is the natural outgrowth of this way of looking at disability--it locates the "problem" in the person with the disability. This is a very valid critique of the classic medical model's fundamental assumptions, and disability advocates argue there's an alternative to this perspective (Laner, 1976; Shah & Mountain, 2007; Shyman, 2016 ). Informed by the biopsychosocial perspective, they argue that problems of inclusion for people with disabilities are not only caused by the physical disability--rather, barriers to inclusion exist in the psychological (such as minority stress) and sociocultural (stigma, abled-centered design, etc.) domains as well. Shifting the locus of responsibility from the person with disabilities to the greater context also shifts the understanding of where change should come from. Rather than people with disabilities being expected to conform to "normal" functioning, society needs to make changes to accommodate people with disabilities. This is called the "social model" of disability, and is what the recovery model is based on (Gehart, 2012a). Similarly, when the medical model is applied to mental health, it identifies psychopathology within individuals as the reason they can't get along with the world at large. Therefore, the solution is to identify these psychopathologies and discover effective treatments so everyone can function optimally in society. 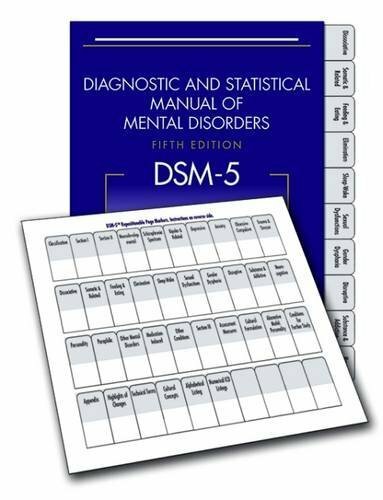 This has resulted in the Diagnostic and Statistical Manual, or DSM, a catalog of mental "disorders," each with its own suite of signs and symptoms and each with its own diagnostic label (like Major Depressive Disorder). Because this manual is the manifestation of the power to define normality/abnormality, some people find it intrinsically problematic. Some make the humanistic argument that diagnosis reduces a human being to a label, stripping them of their humanity (this is why some of your professors may vehemently exhort you to say "my client with borderline personality disorder," not "my borderline client"). The act of assigning such a label to a person makes them vulnerable to social stigmatization and may even insidiously alter the person's self-concept to the point where they take on an "illness identity." Receiving a diagnosis could also lead to a "self-fulfilling prophecy," where the diagnosed resigns themselves to never living without the diagnosis and may give up on recovery (Byrne, Happell, & Reid-Searle, 2015; Kvaale, Haslam, & Gottdiener, 2013; Scott, 2010). Others make the postmodernist argument that the act of diagnosing is how those in power classify as "deviant" those whose behavior "annoys or offends" them--diagnosis, therefore, is an oppressive act. We're not talking about "my roommate annoys me when they don't pick up their socks, therefore they must have a disorder." It's more like "my roommate's sadness annoys me, and I want to change their behavior so I'm not bummed out, therefore they have a disorder that needs to be fixed, I shouldn't have to learn how to cope with their sadness." Some even suggest diagnosis is "an attempt by professionals to distance themselves from the consumer by creating difference" (Byrne et al., 2015, p. 221). And if you've ever heard the phrase "the myth of mental illness," it's referring to the mind-bending idea that something like "depression" isn't really an illness like "influenza" (you can't see a depression germ under a microscope) and we just use the word "illness" metaphorically. In this conceptual framework, the concept of "mental illness" is semantically dismantled and reduced to a turn of phrase, or story--thus, myth (Laner, 1976). Mental gymnastics aside, the idea that diagnosis could be dehumanizing and/or oppressive is another completely valid critique of the medical model. If you're of the mind that there's nothing medical about mental "illness," then diagnosis is bad and that is that. However, if you believe that mental health deserves to be researched and treated according to the best available evidence, but you also don't like dehumanizing or oppressing people, you're in luck--the biopsychosocial and recovery approaches to diagnosis should appeal to you. Wong (2010) states that the clinicians he knows "use the DSM as one of several assessment tools within the context of interpersonal therapeutic conversations" and that "to diagnose someone as 'depressed' does not necessarily mean that the client is apathologized as long as the client is treated with empathy, unconditional positive regard, and genuineness as a unique human being" (p. 251). From that standpoint, the DSM is a tool that can be used to empower clients as much as to oppress. And this is how Gehart (2012b) describes the recovery approach to diagnosis: "Similar to the medical model, mental health diagnosis is an important step in the recovery process; however, in contrast to the medical model, the diagnosis does not drive the recovery process" (p. 449). Diagnosis, Gehart argues, helps the clinician to better understand the consumer and identify resource options for treatment. However, the clinician does not tick off symptoms in the DSM like a checklist counting down to zero. There may be recovery goals, for example, articulated by the consumer that are unrelated to an official "symptom," and the consumer is not considered to be "in recovery" until those goals are met. In this way, the recovery approach resolves the paradox of the medical model in which a patient has no symptoms and yet still feels "ill."
According to postmodern principles, there is no objective "true" definition of any word. What I mean when I say "depression" may not mean exactly what you think when you hear "depression." Before we can meaningfully communicate about what's going on with me that I'm using the word "depression," we need to agree on a definition. This is, in part, what the DSM is designed to do--provide a common language and the basis for an organized body of knowledge about what is effective in treating various problems (Kane, 1982). Without operationalizing variables, there is no scientific method, and no way to identify common risk factors, which are crucial to prevention, or develop screening tools, which can help make sure the people who really need care are the ones who are getting it (Kane, 1982). The ethical debate my professor raised in class after challenging us about our beliefs in the medical model springs from fact that the institutions of healthcare administration and funding ("the entities and individuals who control the levers of power in our mental health system" [Deacon, 2013, p. 856]) have been slow to respond to the biopsychosocial approach. Indeed, the entire third-party payer reimbursement system is firmly entrenched in the classic medical model where diagnosis drives treatment. In order to get treatment covered by insurance, a diagnosis is almost always (ok always) required. This puts the clinician in the difficult position of having to assign a diagnosis in order for the client to access affordable treatment--often before the clinician is confident of the diagnosis, and sometimes in violation of ethical principles if the clinician believes no diagnosis in fact applies. Wade & Halligan (2017) make an eloquent case for the "political and managerial arenas" of mental healthcare to catch up to the clinical arena; they argue that using a biopsychosocial approach, especially within records-keeping and information systems would streamline healthcare, increasing efficiency and lowering costs. I know I'm probably preaching to the choir here, but take a look at pages 1000-1001 if you're interested. None of these critiques would exist if there wasn't also a fundamental assumption that certain experts deservedly have the power to define normality and they also get to decide what to do with people who are "abnormal." As a society, when it comes to issues of health, we decided those experts would be doctors. We had the option of saying psychics have that power, or fishermen! We also had the option of letting the Church keep that power. But we didn't. We, as a society, decided to invest that power in doctors. I mean...they do spend a ridiculous amount of time in medical school. They have to take some really hard tests, get really good grades in classes you couldn't pay me to take, and then work for like 18 hours straight in the ER. The societal hope is that, through all of that, they end up knowing more about "health" (what is normal/abnormal) than the rest of us. But at the end of the day, doctors wield the power society invests in them, and some people take exception to the idea that these expert clinicians are privileged above the very people they're supposed to be helping (Byrne et al., 2016). Even with all that education and training, why do they get to stand around and tell other people they're defective? It is a question, ultimately, about who gets to be in power and why. In the "new" medical model, the clinician is envisioned more as a collaborator rather than an authority. However, an important critique of the biopsychosocial approach from the postmodern/constructivist perspective is that "it still positions the clinician as being best equipped [rather than the client] to appraise a clinical scenario by applying theoretical and technical knowledge. 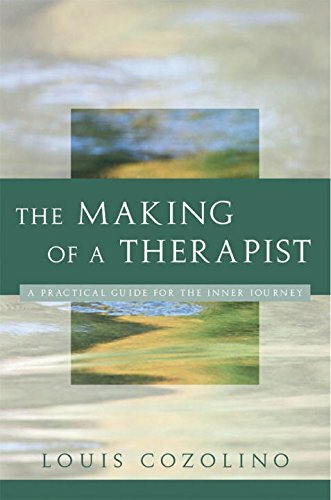 The therapist’s version, while aiming to be collaborative, may be privileged above that of the client" (MacDonald & Mikes-Liu, 2009, p. 276). So, if you're a postmodern purist, you may believe the relationship between clinician and client must be 100% egalitarian, and maybe the "new" medical model doesn't go far enough. I think this is tough to achieve in practice, because of what Engel refers to as our "folk model of disease" in the Western world, wherein "the historic function of the physician [is] to establish whether a person soliciting help is ‘sick’ or ‘well;’ and if sick, why sick and in which ways sick; and then to develop a rational program to treat the illness and restore and maintain health" (Engel, 1977, p. 386). The biopsychosocial and recovery approaches have redefined the clinician's relationship to and with the client while bearing in mind this societal context. When incorporating a biopsychosocial perspective into treatment, MacDonald and Mikes-Liu (2009) suggest that, "we live in a society that values certain ideas about health...[and clients] will have developed certain formulations and expectations of treatment based on the medical ideas currently dominant in society's thinking...As clinicians, we need to be able to join with clients around their current formulation before inviting them to consider other ideas that might expand their thinking" (p. 279). These "other ideas" include the concept of the clinician as collaborator rather than authority. The recovery approach "does not privilege the therapist with 'expert' knowledge whose role is to identify irrational beliefs, dysfunctional dynamics, or other areas of pathology" (Gehart, 2012a, p. 437). Instead, the client is in the driver's seat of their own care. Gehart suggests that clinicians working in the medical model provide goals, while clinicians working from a recovery approach remove barriers to consumer's identified desires and goals (Gehart, 2012b, p. 449). From what I can tell, the broadest consensus is that the classic medical model, which assumes that there is a physical explanation for every ailment and which extends this idea to mental health problems when applied to the mental health field, is too narrow in focus. This was Engel's point when he argued in 1977 that the medical "model of disease [was] no longer adequate for the scientific tasks and social responsibilities of either medicine or psychiatry" (p. 129). The classic medical model only considers biological factors that may be contributing to disease or dysfunction and ignores other factors that may be critically important in a given person's context--like their personal psychology, or living environment, or relationships, etc. Many also argue that this emphasis on a biological foundation for mental health problems has resulted in an emphasis on treating mental illness with medication, following the logic that biological/chemical therapies are best for biological/chemical problems. Some see medication as oppressive because it is "prescribed" by a power-invested expert clinician; some think that the biological foundations of the medical model result in a glorification of biological therapies that overshadows non-biological therapies (Byrne et al., 2016; Scott, 2010). Some also argue that those on public assistance are deprived access to "better" treatments and are only offered medication because it's the cheapest treatment option (Byrne et al., 2016). And some have argued that the founding theorists of family therapy, writing and practicing at the height of the debate over the classic medical model, "expressed negative feelings about the appropriateness of medication" that came to define the field (Springer & Harris, 2010, p. 361). As discussed above, the biopsychosocial approach does not ignore biological determinants of disease--it just also takes into consideration other dimensions, as well. In Pies's (2017) "real" medical model that incorporates biopsychosocial values, biological explanations of behavior do not negate valid psychosocial/cultural explanations and vice versa, and "biological factors are part of a comprehensive differential diagnosis, even if psychological or cultural factors prove more relevant or informative" (p. 30). In the biopsychosocial approach, therefore, pharmaceutical treatments are one in an arsenal of available options for mental illness. This is echoed in the recovery model, which is not "against interventions such as diagnosis or medication; such medical interventions are valued yet secondary to psychosocial needs, such as autonomy, which are considered primary needs for successful recovery" (Gehart, 2012a, p. 431). Gehart describes a consumer in recovery from severe mental illness who articulated a recovery goal as being able to work a job; however, though she experienced hallucinations, she no longer wanted to take medication. The recovery-oriented therapist did not insist she remain on medication and instead helped the consumer work towards the goal of employment. Ultimately, however, the consumer determined that not being on medication was getting in the way of successful employment, and she decided to start taking them again: "Thus, medication was used as a resource when the consumer determined it was most beneficial to help her live a meaningful life" (Gehart, 2012a, p. 431). Congratulations! You made it through the longest blog post I've ever written. Hopefully you have a basic understanding of how the medical model came about, the major problems with the model, and how the newer approaches to mental healthcare have attempted to address these problems. THIS IS ME GETTING ON MY SOAPBOX. It's a little soapbox, because I'm just a grad student with a blog. But after having to do way too much work to find out why people hated the medical model so goddamn much, I think I have a right to a little soapboxing. Don't throw the baby out with the bathwater. Yes, the medical model is the scientific basis for evidence-based practice (Karam & Sprenkle, 2010; Lilienfeld et al., 2013; Patterson, Miller, Carnes, & Wilson, 2004). But just because you take issue with some parts of the medical model doesn't mean you should dismiss out of hand anything that smacks of medicine and/or science. If you hate the medical model because there used to be a heavy emphasis on a biological basis for mental illness, and you think that's why pharmacological treatments are privileged in research and practice over psychological treatments, FINE! But don't disregard the literature that suggests pharmacological treatments are helpful--like the overwhelming evidence that suggests depression is best treated by a combination of psychotherapy and antidepressants. 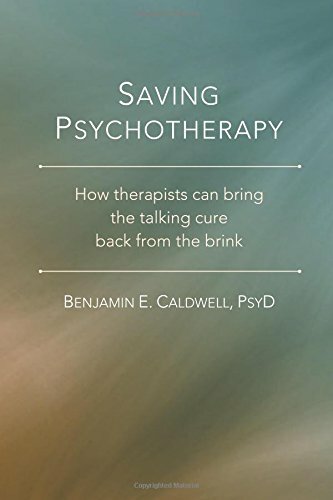 Please read Dr. Ben Caldwell's excellent book Saving Psychotherapy for many compelling arguments about how and why psychotherapists should be embracing science, not denying it. And if you're a teacher, I think it would be really great if you bring up this debate in class instead of just snarking on the medical model. In my humble opinion, it elucidates a lot of the theory and philosophy of the field and makes it much easier to understand the current state of affairs. And just one class discussion would have saved me so much Googling. Adler, R. (2009). Engel's biopsychosocial model is still relevant today. Journal of Psychosomatic Research, 67(6), 607-611. Barber, M. (2012). Recovery as the new medical model for psychiatry. Psychiatric Services, 63(3), 277-279. Bolton, J. (2014). Case formulation after Engel—the 4p model: A philosophical case conference. Philosophy, Psychiatry, & Psychology, 21(3), 179-189. Bott, N., Radke, A., Kiely, T., & Brown, Ronald T. (2016). Ethical issues surrounding psychologists’ use of neuroscience in the promotion and practice of psychotherapy. 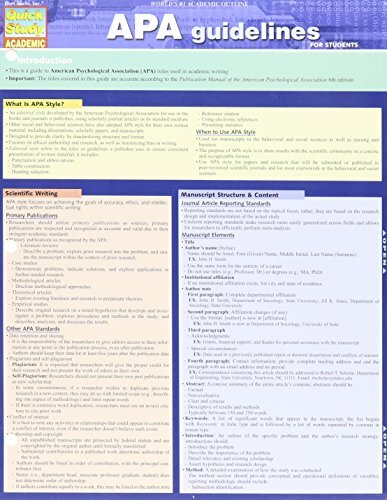 Professional Psychology: Research and Practice, 47(5), 321-329. Byrne, L., Happell, B., & Reid-Searl, K. (2016). Lived experience practitioners and the medical model: World’s colliding? Journal of Mental Health, 25(3), 217-223. Carpenter, W. (2017). Organizing knowledge in the biopsychosocial medical model. Psychiatry, 80(4), 318-321. Corrigan, P.W., & Ralph, R.O. (2005). Recovery as consumer vision and research paradigm. In L Davidson, C. Harding, & L. Spaniol (Eds.) Recovery from severe mental illnesses: Research evidence and implications for practice, Vol. 1 (pp.3-18). Washington, D.C.: American Psychological Association. Deacon, B. (2013). The biomedical model of mental disorder: A critical analysis of its validity, utility, and effects on psychotherapy research. Clinical Psychology Review, 33(7), 846-861. Dutch, M., Ratanasiripong, P., & Callahan, Jennifer L. (2017). Marriage family therapist’s attitudes toward evidence-based treatments and readiness for change. Journal of Psychotherapy Integration, 27(4), 540-547. Elkins, D. (2009). The medical model in psychotherapy: Its limitations and failures. Journal of Humanistic Psychology, 49(1), 66-84. Elkins, D. (2010). David Elkins responds. Journal of Humanistic Psychology, 50(2), 256-263. Engel, George L. (1977). The need for a new medical model: A challenge for biomedicine. Science, 196(4286), 129-36. Farre, A., & Rapley, T. (2017). The new old (and old new) medical model: Four decades navigating the biomedical and psychosocial understandings of health and illness. Healthcare, 5(4), Healthcare, 2017, Vol.5(4). Flaherty, M. (2012). A medical model for today. Psychiatric Services, 63(5), 510. Gaudiano, & Miller. (2013). The evidence-based practice of psychotherapy: Facing the challenges that lie ahead. Clinical Psychology Review, 33(7), 813-824. Gehart, Diane R. (2012). The mental health recovery movement and family therapy, part I: Consumer-led reform of services to persons diagnosed with severe mental illness. Journal of Marital and Family Therapy, 38(3), 429-442. Gehart, Diane R. (2012). The mental health recovery movement and family therapy, part II: A collaborative, appreciative approach for supporting mental health recovery. Journal of Marital and Family Therapy, 38(3), 443-457. Goldfried, M. (2013). What should we expect from psychotherapy? Clinical Psychology Review, 33(7), 862-869. Gutkin, T. (2012). Ecological Psychology: Replacing the medical model paradigm for school-based psychological and psychoeducational services. Journal of Educational and Psychological Consultation, 22(1-2), 1-20. Henningsen, P. (2015). Still modern? Developing the biopsychosocial model for the 21st century. Journal of Psychosomatic Research, 79(5), 362-363. Hernandez, Barbara Couden, & Doherty, William J. (2005). marriage and family therapists and psychotropic medications: Practice patterns from a national study. Journal of Marital and Family Therapy, 31(3), 177-189. Kane, R. (1982). Lessons for social work from the medical model: A viewpoint for practice. Social Work, 27(4), 315-321. Karam, Eli A., & Sprenkle, Douglas H. (2010). The research-informed clinician: A guide to training the next-generation MFT. Journal of Marital and Family Therapy, 36(3), 307-319. Kvaale, Haslam, & Gottdiener. (2013). The ‘side effects’ of medicalization: A meta-analytic review of how biogenetic explanations affect stigma. Clinical Psychology Review, 33(6), 782-794. Laner, M. (1976). The medical model, mental illness, and metaphoric mystification among marriage and family counselors. The Family Coordinator, 25(2), 175-181. Lilienfeld, Ritschel, Lynn, Cautin, & Latzman. (2013). Why many clinical psychologists are resistant to evidence-based practice: Root causes and constructive remedies. Clinical Psychology Review, 33(7), 883-900. MacDonald, C., & Mikes‐Liu, K. (2009). is there a place for biopsychosocial formulation in a systemic practice? Australian and New Zealand Journal of Family Therapy, 30(4), 269-283. Meyer, A., Bowden Templeton, G., Stinson, M., & Codone, S. (2016). teaching research methods to mft master's students: A comparison between scientist-practitioner and research-informed approaches. 38(3), 295-306. Patil, Tejas, & Giordano, James. (2010). On the ontological assumptions of the medical model of psychiatry: Philosophical considerations and pragmatic tasks. (Editorial). Philosophy, Ethics, and Humanities in Medicine, 5, 3. Patterson, J., Miller, R., Carnes, S., & Wilson, S. (2004). Evidence‐based practice for marriage and family therapists. Journal of Marital and Family Therapy, 30(2), 183-195. Penttila, M., Jaaskelainen, E., Hirvonen, N., Isohanni, J., & Miettunen, M. (2014). Are we reinforcing the anti-medical model? Reply. British Journal Of Psychiatry, 205(6), 499-500. Pies, R.W.. (2017). Hearing voices and psychiatry’s (real) medical model. Psychiatric Times. 34. Scott, Helen. (2010). The medical model: The right approach to service provision? Helen Scott questions the medicalisation of mental distress, along with the use of labels to define illness, and argues that lip service is paid to service-user choice. Mental Health Practice, 13(5), 27-30. Schwartz, S., Lilienfeld, S., Meca, A., Sauvigné, K., & Kazak, Anne E. (2016). Psychology and Neuroscience: how close are we to an integrative perspective? Reply to Staats (2016) and Tryon (2016), 71(9), 898-899. Searight, H. (2016). The biopsychosocial model: "Reports of my death have been greatly exaggerated". Culture, Medicine and Psychiatry, 40(2), 289-298. Shah, P., & Mountain, D. (2007). The medical model is dead – long live the medical model. British Journal of Psychiatry, 191(5), 375-377. Shyman, Eric. (2016). The reinforcement of ableism: Normality, the medical model of disability, and humanism in applied behavior analysis and ASD. Intellectual and Developmental Disabilities, 54(5), 366-376. Sprenkle, D. (2003). Effectiveness research in marriage and family therapy: Introduction. Journal of Marital and Family Therapy, 29(1), 85-96. Springer, Paul R., & Harris, Steven M. (2010). Attitudes and beliefs of marriage and family therapists regarding psychotropic drugs and therapy. Journal of Marital and Family Therapy, 36(3), 361-375. Thyer, B., & Pignotti, A. (2011). Evidence-based practices do not exist. Clinical Social Work Journal, 39(4), 328-333. Van Dyke, David J., & Hovis, Ryan. (2014). 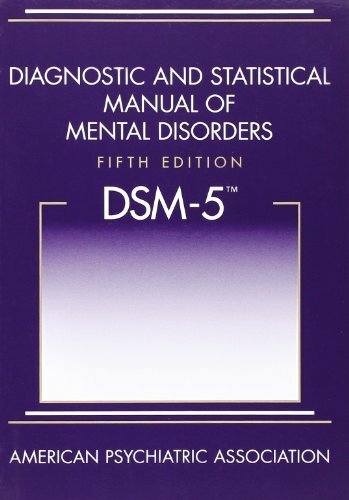 Systemic critique of the DSM-5: A medical model for human problems and suffering. Journal of Psychology and Christianity, 33(1), 84-89. Wade, D., & Halligan, P. (2017). The biopsychosocial model of illness: A model whose time has come. Clinical Rehabilitation, 31(8), 995-1004. Wakefield, J. (2013). The DSM-5 debate over the bereavement exclusion: Psychiatric diagnosis and the future of empirically supported treatment. Clinical Psychology Review, 33(7), 825-845. Weston, W. Wayne. (2005). Patient-centered medicine: A guide to the biopsychosocial model. Families, Systems & Health, 23(4), 387. Wickramasekera, Ian, Davies, Terence E., Davies, S. Margaret, Deleon, Patrick H., & Kenkel, Mary Beth. (1996). Applied Psychophysiology: A bridge between the biomedical model and the biopsychosocial model in family medicine. Professional Psychology: Research and Practice, 27(3), 221-233. Wong, P. (2010). the future of humanistic/existential psychology: A commentary on david Elkins’s (2009a) critique of the medical model. Journal of Humanistic Psychology, 50(2), 248-255. Yakeley, J., Hale, R., Johnston, J., Kirtchuk, G., & Shoenberg, P. (2014). Psychiatry, subjectivity and emotion - deepening the medical model. The Psychiatric Bulletin, 38(3), 97-101. 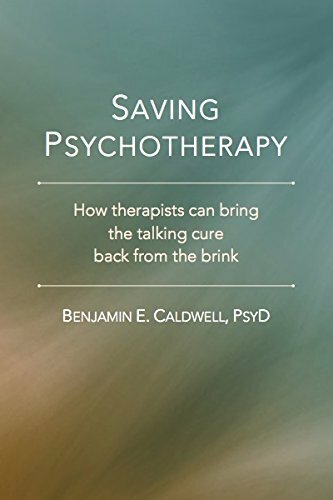 In Dr. Benjamin Caldwell's book Saving Psychotherapy, he outlines four tasks that psychotherapists must embrace to help "save" the field of psychotherapy. If you've read my review of the book, you know how much it resonated with me. However, the final task (accepting accountability for the quality of our work by deliberately working to better our skills) has haunted me. It's this last bit, simply seeing lots of clients, that really hasn't been sitting well with me. Learn by doing just seems like a cop-out, like no one was able to figure out how to teach something so they presumed the best way to learn must be the way they learned, which is by muddling through until it gets easier. That's all fine and good when we're talking about needlepoint or something. But I'm being asked to help people who are having serious life problems. Needlepoint this is not. And y'know what, since you bring up needlepoint . . . there's actually a deliberate way to work on getting better at needlepoint. Samplers. Young girls used to work on them to perfect their skills before they were married off and had to work on their husbands' socks or waistcoats or whatever. A sampler! Click to enlarge. Where's the sampler for psychotherapy?? <<MUCH FANFARE>> Meet Tony Rousmaniere, author of Deliberate Practice for Psychotherapists: A Guide to Improving Clinical Effectiveness. Y'all, I'm a little frustrated I haven't been assigned this book in any one of my classes yet. Why wouldn't you assign a beginning graduate student a step-by-step guide to becoming an effective clinician? I am forever grateful to my friend and colleague, Ben Fineman, who recommended this book to me and lent me his copy. Because what Rousmaniere has to offer is, in fact, a sampler for psychotherapy. 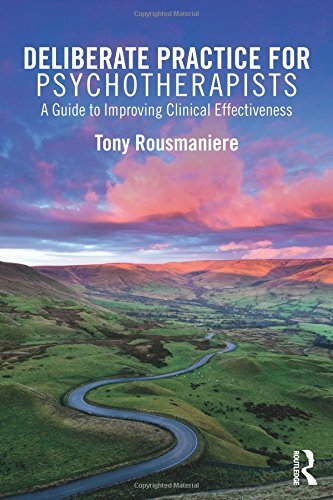 Rousmaniere begins with his own experience as a clinician in training, despairing about the fact that no matter how hard he tried, about half of his clients were not benefiting from therapy. As it turns out, this is not an outlier--in fact, this rate is about average. 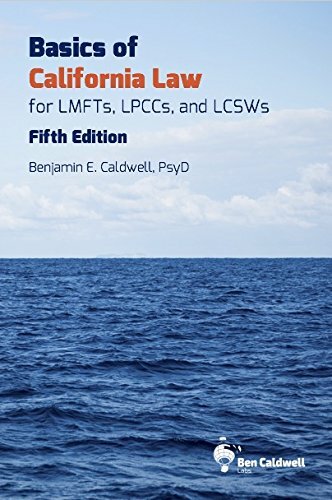 Which seems to directly contradict the research presented by Caldwell as a beacon of hope in Saving Psychotherapy--that therapy is effective. How can half of clients not benefit from therapy if therapy itself is effective? The problem, Rousmaniere and Caldwell seem to agree, lies with therapists. Rousmaniere argues that the current model of clinician training is a "path to competence." That is, the end goal of the current system of training and licensing therapists is simply to produce competent therapists, who have a decent success rate. But the truth is, some clinicians are better than others--and those that are better have better success rates. What makes some clinicians better than others? Rousmaniere argues these clinicians take the "path to expertise." This path is the harder path. The research presented by Rousmaniere demonstrates that the only way to get to expertise is through deliberate practice. He takes issue with the misconception popularized by Malcolm Gladwell that it simply takes 10,000 hours of doing something repetitively to achieve mastery--what it actually takes, he says, is repeatedly and deliberately working at a level just beyond your current skill level. Simply playing tennis matches over and over will only incidentally improve your serve, but spending an hour every day drilling serves will deliberately improve your serve. This, Rousmaniere argues, is the faster and more effective path to mastery than simply muddling through a learn-by-doing process. So how can psychotherapists deliberately practice? We can't conjure up a fake patient to do therapy with when we're off the clock (yet). The good news is--we don't need to. Rousmaniere has created a curriculum of sorts composed of several exercises designed to isolate specific psychotherapeutic skills, and the cornerstone of all of them is the humble video camera. He recommends video-taping as many of your actual sessions as possible, then using the taped sessions--both alone and with a coach--for the prescribed exercises. For those of us in COAMFTE-accredited programs, we're already familiar with the idea of video-taping sessions; it's a requirement for our fieldwork and we can't accept a placement that won't allow recording of at least some sessions. But most other graduate programs do not require recording of sessions, and the whole idea might seem crazy. What client would be ok with this?? But apparently, clients seem to be pretty ok with the idea of their therapist recording the session both as a quality-control measure as well as a way to get more (maybe better) input. Now, I hate watching myself on camera. But Rousmaniere points out that this very reaction is standing between me and becoming a better therapist. So while I have been dreading having to record my sessions, I'm now looking forward to it (at least I'm telling myself I am). Rousmaniere has even created an exercise specifically targeted towards working with this reaction and I can see how it would really be effective. After reading this book, I'm now planning to make recording sessions standard in my personal practice once I'm a licensed clinician, and I'm going to try to implement deliberate practice as soon as possible. I know what you may be thinking, because I thought it, too--what graduate student has time to do MORE practice outside of everything else?? Rousmaniere beat us to this punch, though, and he addresses the issue of not having a lot of extra time to dedicate to practice outside of work by encouraging us to start small--just a few minutes per day at first. This goes for students as well as already-practicing clinicians who are interested in upping their game. No matter who you are or what your schedule is, you can make some room in your life to work towards expertise. And when I step back and think about it . . . a lot of Olympic athletes aren't superstars with lucrative sponsorship deals and personal assistants. They're regular people with normal jobs who happen to also have a crazy passion for shot-put or sprinting or skiing. They manage to put in the extra time and effort to become world-class athletes in order to represent their country at the Olympic Games. The least I can do to help my clients is put in the time and effort to become a world-class therapist. Now, with Rousmaniere's guide, I feel like I finally know how to get started. Listen to Dr. Caldwell's podcast on iTunes! This post originally appeared in the AAMFT Emerging Professionals newsletter. Join the network and subscribe to the newsletter here! As a first-year student in a master’s program, I’ve only just set out on the road to becoming a marriage and family therapist. When I stop and think about the distance I have yet to travel, I can get a little demoralized. However, I’ve found some things I can focus on now to make sure I’m ready to hit the ground running once I get that license. Focusing on each step makes me feel a little better about how far away that finish line is, and maybe it can do the same for you! First, I’m using this time in graduate school to narrow down my future area of focus. There are a lot of papers to write, and I’m trying to use them for the greater purpose of determining what I may want my specialty to be. So when I’m given the chance to choose a topic, I tend to choose something that may help inform that decision rather than researching exotic diagnoses or very specific populations I’m unlikely to encounter in practice. I see these papers as great opportunities to learn about what I do (and do not) enjoy under the guidance of professors who can help me decide whether something might be a good fit for me. For example, I studied family-based treatments for adolescents with depression in my Clinical Research class; I enjoyed it and my professor gave me encouraging feedback, so when it came time to pick a paper topic in my Diagnosis class, I chose Major Depressive Disorder. I got to use some of the research I’d done for the first paper, and I discovered that I’m still not sick of studying it, so I think that’s a good sign! The same logic could work as you consider elective, fieldwork, and continuing education workshop options (especially if you’ve already graduated). It’s never too early to start making contacts! I’m cultivating relationships with professors and peers now to start building my professional network. I don’t mean this in a fake, shallow, or inauthentic way. I recognize that this network will be key to scaffolding my career in the future, so I want to set a good foundation. This means that in class, I try to be an active participant; not only is this good for participation points towards my final grade, but I’m able to demonstrate to the professors that I am an engaged and motivated future therapist. I want to make sure they are familiar with me and my work, because I will be needing letters of recommendation and I want to help them both remember me and feel confident vouching for me. I also reach out for guidance on assignments and attend office hours where necessary. Again, this isn’t about sucking up or making a nuisance out of myself—it’s about recognizing that professors are often so overwhelmed that it can be hard to form individual relationships with students. I want to make it as easy as possible. That professional network will also include colleagues I meet outside of school, which is why I feel it’s important to be active in groups and organizations. This kind of involvement can expand both your contacts and your experience in the field, and you can start at any stage of your career! I’ve found that informal groups—like those found on social media—can be a great place to get peer support as well as to ask questions in a low-pressure environment. Professional organizations like AAMFT foster both collaboration and advocacy, and membership demonstrates to potential employers that you’re serious about your profession. Personally, I’m really looking forward to getting involved with AAMFT’s Topical Interest Networks! I’ve found that focusing on these steps now keeps me engaged in the present moment and reminds me that I’m making progress towards my goal every day. I hope some of these ideas can help you, too, as you keep putting one foot in front of the other towards that finish line!